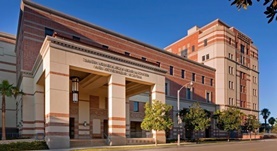 Dr. Charles Chandler is a recognized general surgeon in Los Angeles, California. He received his medical diploma from Washington University School of Medicine in St. Louis in 1988. After getting his medical degree, he did an internship in surgery at UCLA School of Medicine, between 1988 and 1989. 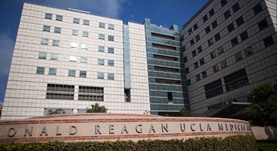 Dr. Chandler completed his medical education with a residency in general surgery at Queen's Medical Centre, in 1993, a residency in general surgery at UCLA Medical Center, between 1989 – 1994 and a fellowship in surgical critical care, at UC Irvine Medical Center, between 1994 – 1995. He is certified by the American Board in surgery. His subspecialties are general surgery, trauma surgery & surgical critical care. This doctor works at Ronald Reagan UCLA Medical Center, University of California Los Angeles Jonsson Cancer Center and UCLA Medical Center Santa Monica. He was awarded the honors Checkbook Top Doc, ACS Fellow and Super Doc.